We believe that balance is critical to a successful education, and athletics is more than just sports. Our athletic program emphasizes the value of each individual and respect for others. We stress teamwork, sportsmanship, personal commitment, a quest for excellence, a sense of fair play, and fun. Our coaches are committed to fostering each student athlete's confidence, skills, decision-making, sense of responsibility, and leadership. We are proud to offer 18 different sports and 64 different teams between our High School and Middle School. 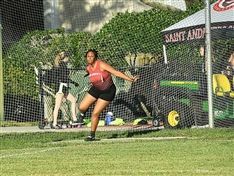 At Saint Andrew’s School, we believe in supporting young athletes and helping them reach their performance potential. Our families can rest assured that if an injury should occur during a practice, home game, or away game, we have a Sports Medicine Team that will provide a timely orthopedic injury evaluation/diagnosis and begin treatment quickly. The Sports Medicine team consists of two certified athletic trainers that specialize in the prevention, evaluation, diagnosis, treatment, rehabilitation, and management of all athletic injuries. Craig Ashley has been a nationally certified athletic trainer since 1997 and the head athletic trainer at Saint Andrew's School since 1999 and served as the interim athletic director for 2011-2012. After serving as the interim athletic director, Ashley was officially named Athletic Director in March 2012. In addition to his previous athletic training responsibilities, Ashley served as the sports information director, was a resident life faculty member, and taught Anatomy and Physiology in the upper school science department. Also a certified instructor with the American Red Cross, Ashley provided First Aid, CPR and AED education to Saint Andrew's faculty, staff, and students. He was awarded the Dena and Daniel Man Janusz Korczak Faculty Award in 2008 which is presented annually to a faculty member who has been an especially giving, caring, and devoted teacher and friend of students. Since his role in the position as the Director of Athletics, Ashley has been very involved with the Florida High School Athletic Association and was named to the FHSAA Leadership Council in 2014 as a representative for the Florida Council of Independent Schools. Prior to Saint Andrew's, Ashley attended the University of Florida receiving his undergraduate and graduate degrees in exercise and sport sciences. He also completed two athletic training internships with the University of Miami Hurricanes and the Tampa Bay Buccaneers. Ashley and his wife, Carmen, who teaches Spanish in the lower school, live in Boynton Beach with their two daughters, Ellie '22 and Emily '27. In August of 2005, when Stephen A. “Sid” Cassidy joined the Athletic Department at Saint Andrew’s, he was already an accomplished leader in aquatics, both nationally and internationally. He immediately assumed duties as the school’s first Aquatic Director and one year later took over head coaching duties for the Scots scholastic swimming and diving teams. 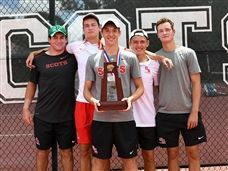 In just his third season of 2008, Sid led the Scots’ boys team to their highest ranking in FHSAA history, a third place finish with four All-American awards. The 2008 girls team moved up from 33rd in 2007 to an 11th place ranking with a very young squad and an eye on a top ten finish. In his role as Aquatic director, Cassidy oversees club teams for swimming, diving, and water polo. He has already built his USA Swimming club into a regional powerhouse recognized and placed numerous athletes into top collegiate programs nationwide. Sid has been active in the governance of USA Swimming since 1981 and currently serves on the Board of Directors for Florida Gold Coast Swimming. At the national level he currently serves USA Swimming on the Olympic International Operations Committee and the International Relations Committee. Cassidy came to Saint Andrew's by way of Atlantic City, New Jersey where he spent seven years as that municipality's Aquatic Director and was the founding father of the Atlantic City Aquatic Club. In his final summer with that team, Cassidy's charges won the boys team title at the Middle Atlantic Junior Olympic Championships and finished runner-up in the overall division. His swimmers earned dozens of all-American accolades and notched two national age group records amidst numerous top ten national rankings. In addition to elite coaching, Cassidy created an outreach program that provided underprivileged youth an opportunity to benefit from the values of USA Swimming that continues to serve to this day. From 1993 – 1998 Cassidy was the Head coach of the Men’s and Women’s swimming and diving teams at the University of Miami. During that time both squads enjoyed significant success. Cassidy’s men’s teams set a high water mark for UM by capturing a Big East Conference Championship in 1995 and finishing in the top ten at the NCAA Division I Championships four consecutive years. Sid coached one Olympic medalist and dozens of collegiate All-Americans during his tenure with the ‘canes and was named the 1996 Big East Women’s Coach of the Year. Prior to coaching in Coral Gables, Cassidy coached collegiately at James Madison University, Florida State University and the University of Tampa. As the head men’s coach at James Madison, Sid saw his men win team titles at both the Colonial Athletic Association Championships and the Eastern Collegiate Athletic Conference Championships. He was named both ECAC and CAA coach of the year in 1993. For seven seasons previous, Cassidy served as the assistant coach for men’s and women’s swimming at Florida State University. During that time, Sid coached his first national champion and worked with more than thirty All-American swimmers. Cassidy started working with collegiate athletes at the University of Tampa as an assistant coach from 1983 – 1985 while serving as the head coach of the Greater Tampa Swimming Association. Sid began his coaching career fresh out of college in September of 1979 under the tutelage of his aquatic mentor Bob Mattson at the Wilmington Aquatic Club, his home-town team. Sid became head coach of a 400-member age group team traditionally known as one of the best teams in the region. His success at WAC catapulted him to be selected by USA Swimming as the youngest coach to travel internationally with our national team in 1985. Since that time Sid has served on six other national team assignments for USA Swimming. As an amateur swimmer Sid had great success throughout his high school and collegiate careers. He was a multiple Delaware schoolboy state champion and record breaker for Salesianum School in Wilmington and an AAU national finalist. He was an alternate to the 1975 Pan-American team and competed in the Final Trials for the 1976 Olympic Games. At North Carolina State University, Sid won eight individual conference titles and for two years reigned as the Atlantic Coast Conference record holder in the 200, 500, 1000 and 1650-yard freestyle events. He was twice named NCAA Division I All-American and his Wolfpack team dominated the ACC while finishing among the top ten in Division I swimming on a regular basis. In addition to all of his credentials in the pool, arguably Sid’s greatest contribution to the swimming world may come in his role as a swimmer, coach and administrator for open water swimming. Sid began his own open water swimming career in the mid-70s as a member of the Ocean City Beach Patrol where he enjoyed a four year undefeated streak in the Atlantic Ocean. He swam marathon races in the USA, Canada and Egypt and in 1979 finished the year ranked as the #4 professional marathon swimmer in the world. He began to serve USA Swimming as both coach and administrator of open water swimming during the 1980s. From 1991 through 1996 Cassidy served as the national team head coach of open water swimming and often led USA’s top competitors on international trips. In this role he really began to gain support for the concept that the marathon swim should become an Olympic event. In 1996 USA Swimming asked him to move into a political position as a member of FINA’s Technical Open Water Swimming Committee to further the goal of Olympic inclusion. In 2006 Cassidy was tapped as Chairman of the Committee and his leadership is viewed as instrumental in turning the Olympic Marathon dream into a reality. In the 2008 Beijing Olympic Games, the very first 10,000-meter Olympic Marathon Swim took place under the direction of Chairman Sid Cassidy and it received rave reviews from the swimmers, coaches, spectators, media and most importantly, from the IOC. Sid was married in 1992 to the former Kara Keenan, who serves as the SAS Swim School Director. Kara and Sid have two children, Quinn (’13) and Kate (’17), who are both students and aquatic athletes at Saint Andrew’s. The family resides in Boca Raton. Cliff Dees is in his 4th year as a member of the Saint Andrews School athletic training staff. He oversees all daily athletic training room operations, including injury management and rehabilitation, and ensuring medical coverage for all Saint Andrews School student athletes. He also teaches a senior level class in Anatomy and Physiology. Cliff came to South Florida from Vancleave, Mississippi. He attended The University of Southern Mississippi and received his Bachelor of Science degree in athletic training in 2000. He pursued his graduate studies at Barry University in Miami, Florida, and worked there for one year as a graduate assistant athletic trainer. From there, Cliff served as the athletic trainer at Dade Christian School in Miami for 10 years. While there he also had the privilege of teaching anatomy & physiology, as well as implementing an introductory course in sports medicine. Cliff has worked 6 seasons as game day help for the Miami Heat and volunteered his services at the AVP beach volleyball tour, as well as the 12th man football and cheer camp for disabled kids. Cliff is married to Kimberly, and they reside in Fort Lauderdale. In his spare time, Cliff enjoys landscaping and home improvement projects, waterskiing, and golf. Brendan Gleason joined Saint Andrew's Athletic Department as the Sports Information Director in 2014. Gleason is an assitant coach for the boys varsity lacrosse team and serves as the defensive coordinator. Prior to Saint Andrew’s, Gleason worked at Lynn University, where he was a graduate-assistant coach for the Fighting Knights’ lacrosse team. Gleason also spent two years at the College of Saint Rose, where he served as an assistant lacrosse coach and the defensive coordinator. Gleason graduated from UAlbany with a bachelor’s degree in sociology and a minor in business administration. He earned a MBA specialized in Sports and Athletic Administration at Lynn University. Ashley Kristiansen '09 returns to Saint Andrew’s in her first year as an assistant athletic trainer. Ashley assists with the overall daily athletic training room operations, including injury evaluation, diagnosis, treatment, rehabilitation, and management of athletic injuries. After graduating from Saint Andrew’s, Ashley attended the University of Miami where she received her B.S. Ed. majoring in Athletic Training in 2013. From there she pursed her graduate studies at Florida Atlantic University, serving as a graduate assistant athletic trainer for the FAU Owls Baseball team. During her time with the Owls, Ashley was responsible for injury prevention and management, focusing in preventative and post-operative rehabilitation. She graduated in April of 2015 with her Masters of Science in Exercise Science and Health Promotion. In her free time, Ashley enjoys working out, training in MMA and jujutsu, spending time with her dog Kona, and going to the beach. John O'Connell has worked in the athletic department at Saint Andrew's School since 1985. O'Connell currently works as a middle school physical education instructor, head varsity cross country coach, head varsity boys basketball coach, and assistant track and field coach. While at Saint Andrew's, he has coached a number of sports to great success and has received numerous honors (listed below). As of 2014, O'Connell has compiled a varsity boys basketball record of 534-233. Prior to Saint Andrew's, O'Connell was a point guard for the Rutgers University's varsity basketball team from 1978-1982. He earned his undergraduate degree from Rutgers in 1982 and his graduate degree from St. Thomas Villanova University in 1984. O'Connell is also a member of the Rutgers Preparatory School's (Somerset, NJ) Athletic Hall of Fame. O'Connell and his wife, Stacy, live in Boca Raton with their son Tristan '16. Kate Prescott joined the athletic department full-time in 2012 serving as the administrative assistant to the athletic department. She has worked at Saint Andrew's School since 2005 functioning as the lower school receptionist, lower school registrar and assistant athletic trainer. Prescott has been a nationally certified athletic trainer since 2004. Prior to Saint Andrew's, Prescott attended Colby-Sawyer College in New Hampshire and worked as a student-athletic trainer for the Dartmouth College football team. In high school she played field hockey, basketball, and softball. Prescott resides in Boca Raton. Allie Primo joined the athletic department staff at Saint Andrew’s School in August 2014. In addition to recently completing her MBA specialized in sports and athletic administration, she also received certifications to teach yoga and Lotte Berk barre method. As a four-year division one athlete and captain in the sport of women’s lacrosse, she has a lot of experience and knowledge on how to effectively work with student-athletes in order to prepare them for what’s ahead. This includes time management strategies and techniques, tools to relieve stress and conquer challenges, and physical and mental trainings to help student-athletes advance further in their sport and in life. As an athletic academic liaison at Saint Andrew’s, she will be taking on various duties including ensuring the eligibility for each international student-athlete, working with student-athletes to make sure they are on the right track academically, and partaking in various physical trainings that help improve each student’s athleticism and overall being. Primo also serves as the Head JV Girls Soccer Coach and the Assistant Varsity Girls Lacrosse Coach here at Saint Andrew’s. Reid Rafter is a graduate of Saint Andrew’s School, Class of ‘85, where he played Varsity Tennis and Varsity Lacrosse. 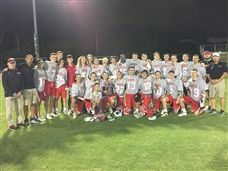 Rafter joins the school after four years as Assistant Coach at American Heritage School in Delray Beach, where he coached the Middle School and the Boys’ and Girls’ Varsity teams. The Girls’ team won the State Championship in 2015, as it went undefeated for 21 matches and won all five singles positions, both doubles spots, and tied a State record. Rafter played on the ATP Tour in the early 1990's. His victories included US Open winner Patrick Rafter (no relation), and US Open Doubles Champion Sandon Stolle. Rafter grew up in West Palm Beach and played his entire junior tennis career in South Florida, where he became nationally ranked, defeating several of the top players in the world. Following his retirement from the ATP Tour in 1999, Rafter worked in sports broadcasting until 2010. During this period, he continued to coach juniors privately and helped them earn tennis scholarships at schools such as Boston College and Stanford University. He also taught at a number of leading tennis clubs in Palm Beach, including The Everglades, The Breakers, and The Beach Club. Chuck Tobey began his teaching and coaching at Saint Andrew's School in 2007. Before becoming the middle school athletic director in 2012, Tobey worked as a physical education teacher in the lower school. He has been the head girls and boys track and field coach since 2008. During his tenure he has seen 16 schools records broken and has been responsible for hosting the first ever track and field meet at the school. He also has been the head middle school football coach from 2010-2012 and is now assisting. 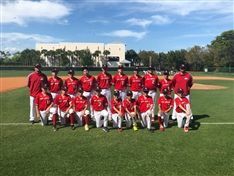 Before coming to Saint Andrew's, Tobey had been employed for 28 years with Gulliver Schools in Miami and had led their high school athletic program as Director of Athletics for 24 years. During that time the athletic program grew to be the top small school program in Dade County as well as one of the top programs in the state of Florida winning 26 state championships in a variety of different sports. He has also served in roles as the secretary-treasurer and president of the Gulfstream Athletic Conference. In 2010 Tobey was inducted into Gulliver's inaugural Athletic Hall of Fame. Tobey was also a high school and college football standout and has been inducted into the Peabody High School Athletic Hall of Fame (2012) and Bridgewater State College Athletic Hall of Fame (1996). Coach Tobey married his college sweatheart Donna (Kane) in 1978 and they have two sons who graduated from Gulliver Preparatory School, Tim (2002) and Mike (1998). Tobey enjoys playing guitar and drums, running triathlons, and has ridden his bicycle across the country.